The Himedia Q5 PRO is a compact and fanless 4K ULTRA HD Media Player based on Android. 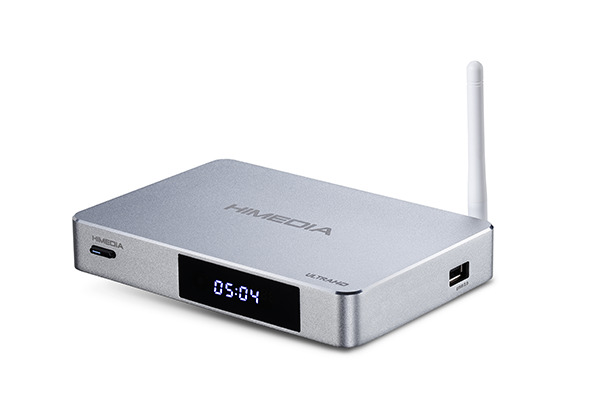 The Himedia Q5 PRO supports the latest features such as 4K (Ultra HD) movie support up to 60fps including Dolby Vision, HDR & 10-bit, 3D Full HD movies, 7.1 HD audio including DTS:X & Dolby Atmos and much more. With the Android 7.0 (Nougat) version and the Google Play Store gives you access to all your favorite apps. 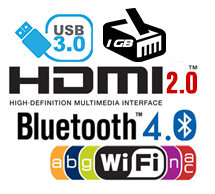 With the specially adapted interface, you can now enjoy on your TV easily ultra high-definition movies, comfortably surf the internet or play current Android games. Unlike almost all other Android boxes, which use chipsets primarily intended for tablets, the HiMedia Q5 PRO uses a quad-core 64-Bit HiSilicon chipset developed specifically for media playback. This results in wider format support, better video playback performance, and great image quality on your TV / projector. The HiMedia Q5 PRO offers a full installation of Android 7.0 (Nougat). 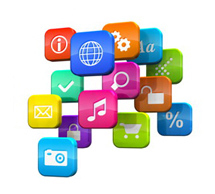 This means that you can install and run any App just like with a phone or tablet. This makes the Q5 PRO a vast improvement on the very limited Apps available in traditional Media Players. It runs absolutely smooth, fast and is easy to use. 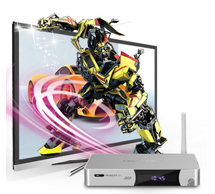 Enjoy your movies in an ultra high resolution 4K (Ultra HD) or Full HD quality. 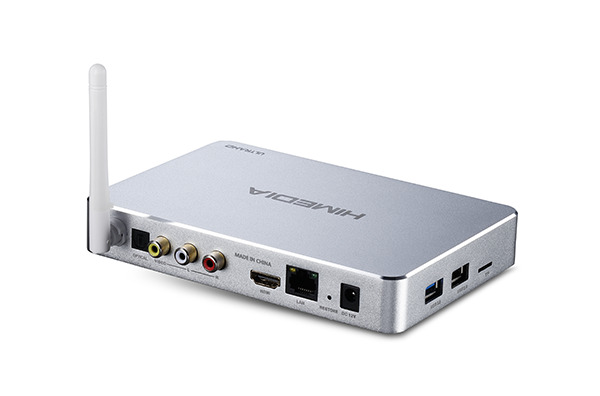 As one of the few media players on the market the Q5 PRO supports playback of 4K (UHD) videos and movies thanks to HDMI 2.0 up to 60fps. The latest features like 8/10-Bit HDR and color (H.265 / HEVC) are also supported. The new Imprex 2.0 Video Processing Engine enables an even better video quality to its predecessor (Q10quad). During playback, the image can be adjusted according to your taste. 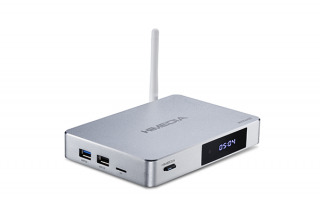 Almost all video -and audio formats are supported by the Q5 PRO from an external hard disk or your home network. 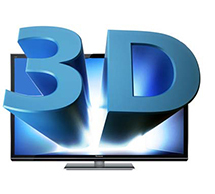 Unlike many other Android media players Q5 PRO plays alongside 3D SBS / TAB / OU also 3D Blu-ray ISOs (BD-Lite Menu) without problems. 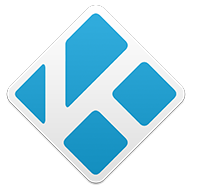 He is an excellent media player of almost all popular video formats like MKV, MP4, AVI and high-quality audio formats such as FLAC, MP3, WMA or AAC. 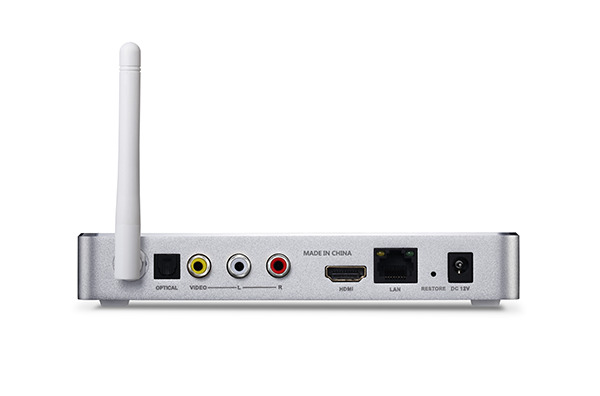 The HiMedia Q5 PRO offers total support for all HD-Audio standards. 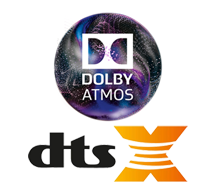 The Q5 PRO will downmix or bitstream DTS, DTS-HD MA, DTS:X, AC3/Dolby Digital, Dolby Atmos as either RAW or LPCM, and with 7.1 audio selectively downmixed to 5.1 or left alone. Virtually every digital audio format is supported including very high end audio such as 24bit 192Khz FLAC. 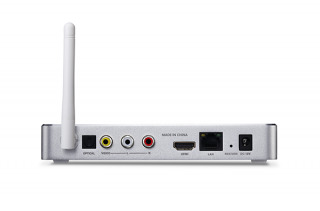 In addition to dual-band WiFi b / g / n / ac and Bluetooth 4.0 all necessary ports are available: three full USB ports (eg Keyboard / Mouse, USB hard drive, webcam), 1x HDMI 2.0 connection, 1x Optical S/PDIF, 1x Gigabit-LAN, 1x sd-card slot and 1x composite. The Q5 PRO has many different options to control (USB mouse/keyboard or wireless 2.4Ghz Airmouse). A very comfortable way to control is the free Remote Control App. You can use your existing Android smartphone/tablet to get access to all the functions you want to use. 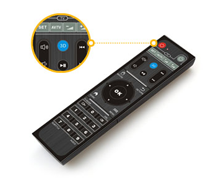 Whether you need a keyboard, touchpad or the motion sensor, it is all integrated into the remote app. You also save an additional remote controller. Q: Worin liegen die Unterschiede vom Q5 PRO zum Q5quad? A: Neben dem schnelleren Prozessor, aktuelleren Betriebssystem, mehr int. Speicher und Anschlüssen (HDMI 2.0, WLAN-ac, Bluetooth 4.0) kommt jetzt auch eine verbesserte Video Engine zum Einsatz die die Bildqualität nochmal optimiert. 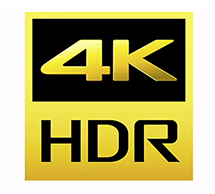 Grundsätzlich ist man was 4K Ultra HD angeht für die Zukunft besser gerüstet als beim Q5quad. Q: Kann ich auf eine extern angeschlossene Festplatte vom Netzwerk aus zugreifen? A: Ja, das ist grundsätzlich möglich. Vom Q5 PRO selbst kann auch auf das Netzwerk zugegriffen werden (z.B. ein NAS). Q: Welche Menüsprachen unterstützt der Q5 PRO? A: Der Q5 PRO unterstützt wie alle 3D Mediaplayer (aufgrund von Kopierschutzgründen) keine BD-Profile JAVA-Menüs über 1.0 aufwärts. Stattdessen gibt es ein simples Menü namens BD-Lite wo Sie zwischen Kapitel, Untertiteln, Sprachen etc. auswählen können. Anmerkung: bitte unbedingt die Installationsanleitung im Downloadpaket beachten. Alle Firmwares sind ausschließlich mit dem Q5 PRO kompatibel! UNBEDINGT BEACHTEN: prüfen Sie vorher genau welche Firmwareversion aktuell installiert ist (zu finden unter Settings -> About). Bei Updates von der Android 7 Firmware 2.0.1 auf 2.1.1 muss zwingend die vorherige Version installiert werden. (2.0.1 -> 2.0.3 -> 2.0.4 -> 2.1.1). Anmerkung: nicht auf Geräten mit Android 7 Firmware 2.0.0 oder höher installieren!